Order now and get your FREE printed proof tomorrow! 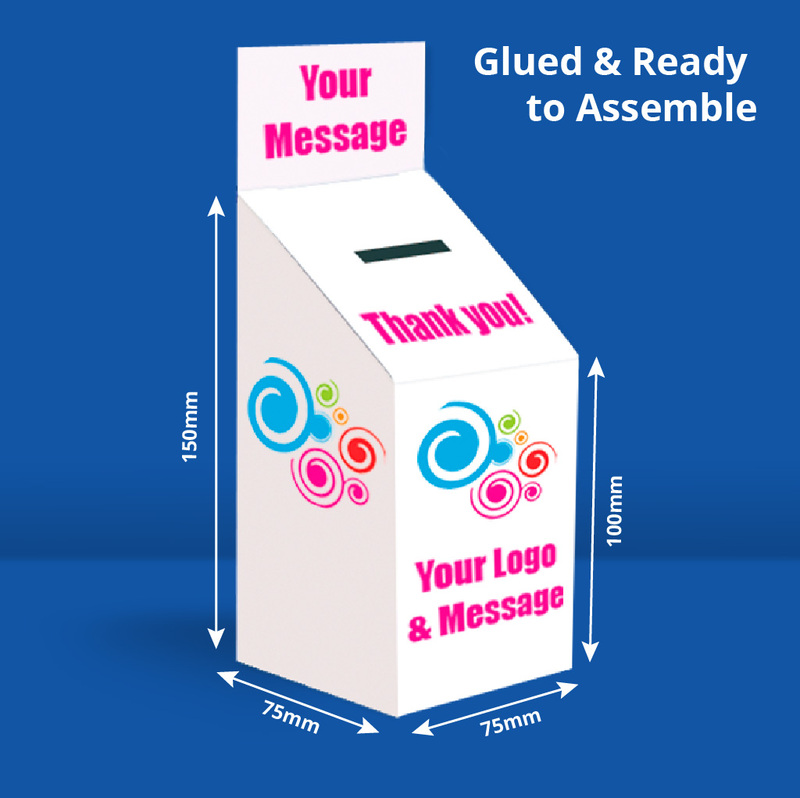 Raise funds for your Charity, Youth Club, School, Church, or just encourage children to save with your own branded collection boxes. 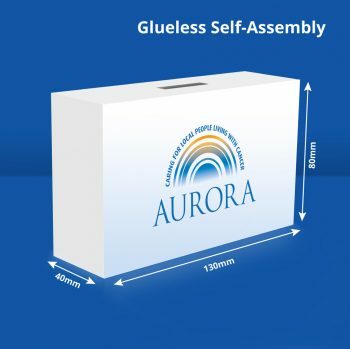 You don’t have to order huge quantities – prices start from £39 and they cost less than 50p each when you order 500. If you’re interested, just email over your logo and wording and we’ll post you a free printed sample before you order! And you don’t pay a penny if you decide not to proceed – it really is a free printed proof. Choose from low-cost glueless self-assembly boxes or the bigger glued version as shown. We use a high-quality 350gsm white silk card which means that they are both robust and easy to assemble. 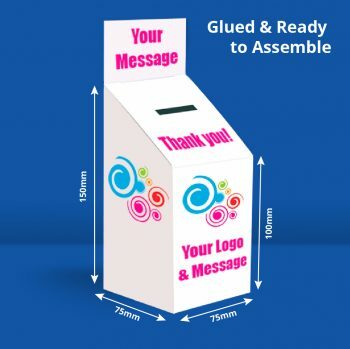 These collection boxes are intended for use as an easy/fun way for Adults & Children to save loose change. Please Note: Graphics, Logo’s and Artwork are uploaded at checkout or can be emailed to us at [email protected] with your order number in the subject line.